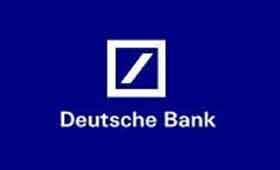 The world’s largest foreign exchange dealer Deutsche Bank AG, has suspended a number of currency traders following an ongoing probe that recently unveiled fraudulent rate rigging, via a Bloomberg statement. The gravity of the ramifications is quite large given that Deutsche Bank tops a list of a $5.3 trillion dollar forex industry – recently the company had been under investigation by a number of regulators in one of the largest probes in recent memory to roil the financial industry. 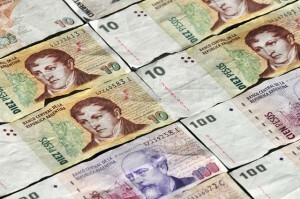 In particular, details have emerged out of the recent bout of suspensions, revealing that the traders accused of rate-fixing dealt with the Argentine peso and were based out of Latin America, the first example in the region the probe has dug up thus far. While the peso is not as regularly traded as other currencies such as the dollar, euro, or yen, the currency actually retains a higher degree of vulnerability given its lack of oversight when weighed against more broad-based exchanges. 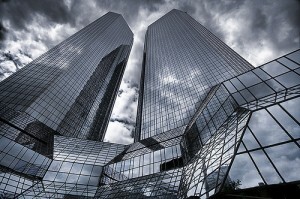 One method used by Deutsche Bank involved the examination and dissemination of employee’s electronic communications and transactions in accordance with regulatory authorities – consequent findings or episodes of fraud will result in the suspension or reinstatement, pending regulatory review. This latest news muddies the water of the forex industry, already rife with scandal and investigations by global regulators. As such, the recent suspensions cast an even darker shadow over Deutsche Bank, one of twelve other firms to have been put under the microscope by watchdog organizations and regulators. As recently as June, it was revealed that several banks were suspected of assimilating information though messages services, utilizing orders from clients to dictate and manipulate forex benchmark and interest rates. “Benchmark manipulation allegations are sapping at the very core of what we are trying to do,” noted Anshu Jain, a Co-Chief Executive Officer at Deutsche Bank in a subsequent statement last October. Few industries maintain the global latitude and clout as forex, with Deutsche Bank (15.2%), Citigroup Inc. (14.9%), Barclays Plc (10.2%) and UBS AG (10.1%), controlling over half of the entire foreign exchange market, according to research by Euromoney Institutional Investor Plc. In a blow to the integrity of the industry, all four of the aforementioned banks have already been the subject of regulatory discipline following an ongoing investigation. Indeed, the recent suspensions and accusations have been directed at nearly all levels as well – last week Citigroup axed its head of European spot trading, Rohan Ramchandani. It is thus far unclear whether the most recent round of Latin-based suspensions have any connection with previous scandals. Regulatory authorities already have issued numerous verdicts on Libor and ISDAfix, culminating in a record numbers of fines. Parallel Investigation To Be Launched By Bafin? Ironically, despite the growing list of probes against the largest banks, German financial regulator, Bafin released a statement back in October indicating that it had no plans to open up a unique probe into forex manipulation allegations given that there was no evidence that German banks were doing anything wrong. However, according to Bafin spokesperson, Ben Fischer in an email today, “Bafin is presently investigating the facts and has kept an eye on the currency trading issues since the summer.” Ultimately, the recent events surrounding Deutsche Bank are likely to elicit some type of response or curiosity from Bafin.